Walnuts are undoubtedly among the healthiest and nutrient-richest natural products. They are on the list of the best foods for brain, thus they can be used to boost our brain function, improve our memory and reduce the risks for serious dementia like brain disorders including Alzheimer’s disease. Walnuts are also on the list of 7 most recommended foods for men’s health. Walnuts are considered excellent natural sources of omega 3 acids, meaning that these nuts can reduce our bad cholesterol levels and substantially reduce our risks for serious cardiovascular diseases. The most recent studies found out that walnuts can help in reducing the risks for breast cancer and also lower our diabetes risk for about 25 per cent. Those are just a few of numerous health benefits of walnuts, and all we need in order to enjoy those is consuming 4-5 grilled or roasted walnuts a day. According to the findings of the latest study, adding walnuts to our daily diet can be a great solution to strengthen our vessels and improve our vascular health. 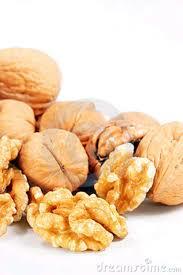 Besides, a diet rich in walnuts can help overweight people in reducing their risk for heart disease. Finally, this natural food has proven to be a very effective natural detoxification stimulant, and this last property of walnuts is an absolutely new health benefit of this type of nuts. Those are the findings of a research group at Yale University published in the end of September 2013 in one of the issues of the Journal of the American College of Nutrition. The conclusions were made after studying the info received after a series of experiments involving a group of overweight participants. 46 adult participants aged between 30 and 75, with body mass index exceeding 25, who did not smoke and did not have increased risks for metabolic syndrome (known as the factor for type 2 diabetes and cardiovascular diseases), were invited to take part in the study. The participants were divided into two groups, one of which was offered a walnut-rich diet (56 grams of shelled walnuts a day), and another group was assigned to consuming a walnut-free diet. After two weeks of consuming one of these two diets, all changes in the participants’ health were detected and analyzed. It turned out that those of the participants who consumed walnuts demonstrated improved endothelial function, which is always linked to a better vascular health. Moreover, this phenomena is also related to lower blood pressure and lower risks for inflammation. Blood tests have shown that blood of those who consumed walnuts every day was less damaged by toxins and unwanted chemicals. Finally, it turned out that those participants who had walnut-rich diet did not gain weight during the experiment. “Our theory is that if a highly nutritious, satiating food like walnuts is added to the diet, there are dual benefits: the benefits of that nutrient rich addition and removal of the less nutritious foods,” said Dr. David Katz, one of the study leaders. It is very interesting that according to the findings of one previous study conducted by Spanish scientists, those people who consume a walnut-rich diet are less likely to smoke cigarettes. 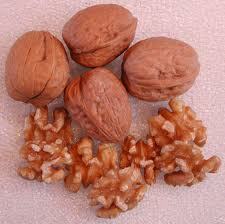 It is considered that walnut eaters have up to 45 per cent lower mortality risks.